Bar Service Allegretto Wine and Bar Services. Restrictions on Music Yes, outdoor & indoor receptions must conclude by 10pm (10pm restriction on music indoors except by special arrangement). Rentals Included Chairs, linens, round tables and dance floor. 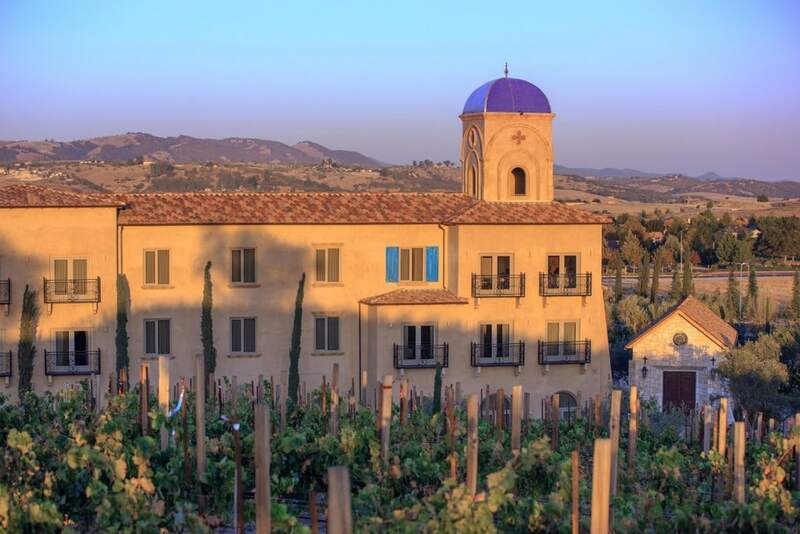 Allegretto Vineyard Resort is a brand new, high-end resort located in Paso Robles, CA. 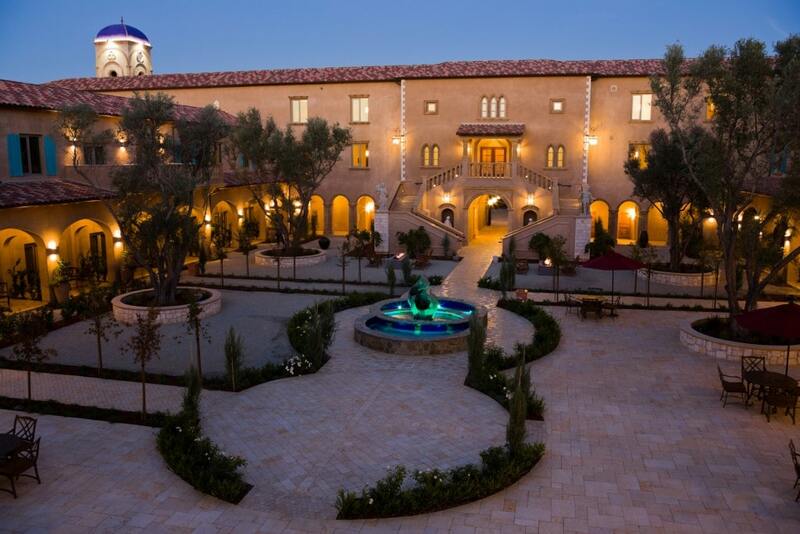 Spanning over 20 beautiful acres, this Tuscan-inspired Central Coast wedding venue is the first resort of its kind in the area. 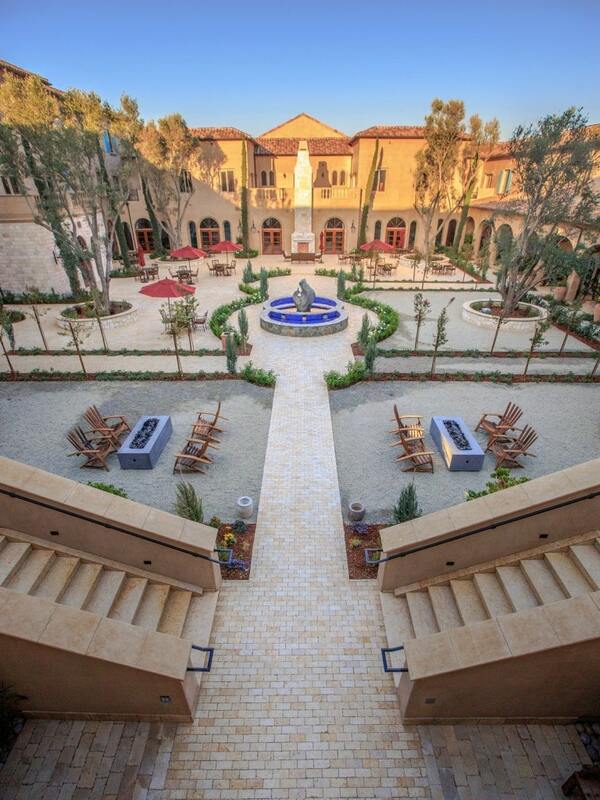 Allegretto offers more than 40,000 square feet of well-appointed indoor and outdoor spaces uniquely designed to accommodate everything from private dining experiences to large wedding receptions. Step inside the resort and you will find distinctive event spaces including the Veneto Ballroom and gracious pre-function gathering area. The intimate Abbaye de Lerrins can accommodate wedding ceremonies and boasts custom stain glass windows and an authentic Italian façade. Renowned for its exceptional outdoor spaces, Allegretto offers a dramatic backdrop of unparalleled natural beauty for special occasions. Included in its many spacious outdoor venues are botanical gardens, the vineyard, the orchard and olive grove, the resort pool and cabanas, and of course, the Piazza Magica, an elegant Mediterranean courtyard. Please contact our Sales Team for a site tour and additional information at 805-369-2509.